Print Your Own Flat Guillermo! | Jimmy Kimmel Live! Print Your Own Flat Guillermo! 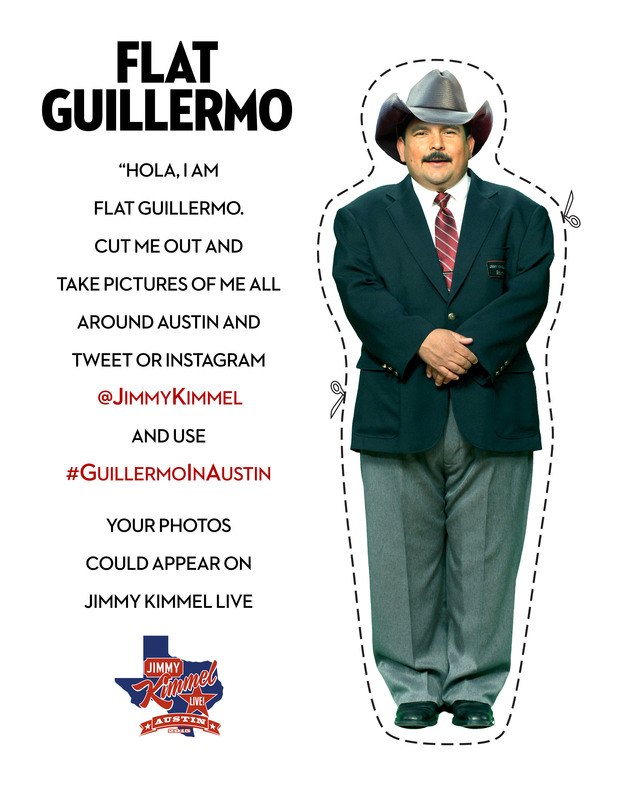 Print and cut out your very own flat Guillermo and take some pictures of him! 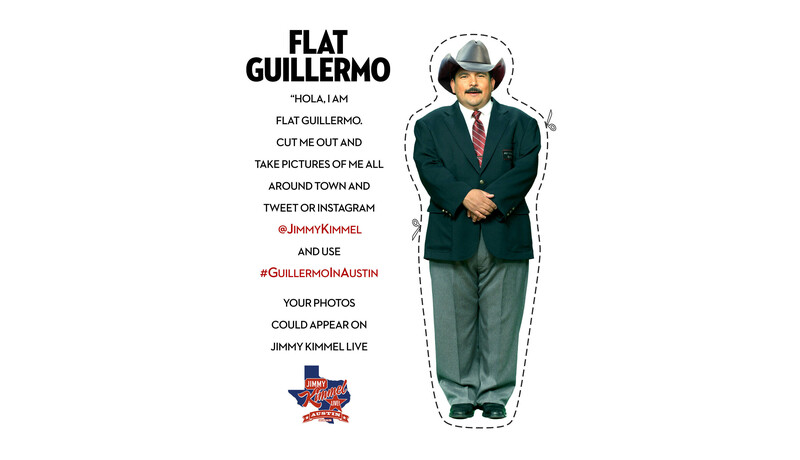 Tweet or Instagram @JimmelKimmel and use #GuillermoinAustin to make sure we see your photos. ABC’s Jimmy Kimmel Live will be returning to Austin, Texas starting Monday, March 16 for a week of shows associated with the 29th annual South by Southwest® (SXSW®) Festival. Guests for the week include Kevin Hart, Brad Paisley, Julia Louis-Dreyfus, Tony Romo, and many more. Throughout the week, “Jimmy Kimmel Live” will also highlight musicians sitting in with the house band, Cleto and the Cletones, such as Gary Clark Jr.
Jimmy Kimmel Live will broadcast five original shows from The Joe R. and Teresa Lozano Long Center for the Performing Arts. Jimmy will also shoot comedy segments around Texas and at SXSW.